For nearly three decades, the city of North Myrtle Beach has honored the timeless celebration of all things Irish with the St. Patrick's Day Parade and Festival. Coming back for its 29th year, the festival is a treat for locals and those visiting the area as well. The event takes place on Saturday, March 11, 2017 around the Main Street area of North Myrtle Beach. As many as 30,000 people are expected to attend this rain-or-shine, one-day event, which promises special memories to be made, tasty food to be had, and entertainment to keep you engaged throughout the day. At 9 a.m., guests will gather along Main Street to view the annual St. Patrick's Day Parade, which features floats and moving displays from various local businesses, figures, schools, and more. After the parade, the main event starts at 11 a.m. and runs until 4 p.m. There will be three different stages for live entertainment, and some of the acts include the Triple Toe Cloggers, Conway Celtic Pipers, Academy of Dance and Fine Arts, Coastal Carolina Shields and Pipe Drums, North Myrtle Beach School of Performing Arts, Band on the Rum, and many more! Guests will have the opportunity to browse through more than 150 vendor booths that will be situated along Main Street and offering up arts, crafts, foods, drinks, and other festival-worthy items. Along with the shopping, dining, and entertainment experiences guests will encounter at the St. Patrick's Day Festival, there will also be two exciting contests to take part in. Also in its 29th year, the Leprechaun Contest gives participants the chance to be crowned as the best leprechaun in the land. Costumes will be judged based on originality, creativity, appearance, enthusiasm and energy. The winner will receive several prizes including a $100 gift card to Wal-Mart. If you're more competitive when it comes to eating, then maybe the Shepherd's Pie Eating Contest will be more up your alley. Register for this delicious competition at the main stage at Flynn's Irish Tavern, and make sure you save up your appetite for the big event! The winner will earn bragging rights and a special plaque of recognition. 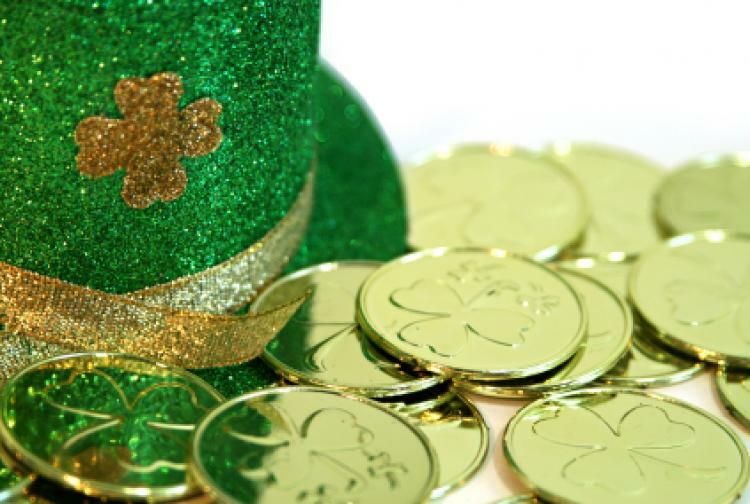 For a day filled with Irish culture, entertainment, and competition, head down to Main Street in North Myrtle Beach on Saturday, March 11 for the 29th Annual North Myrtle Beach St. Patrick's Day Parade and Festival.